After yesterday‘s post regarding the use of ABA to treat ADHD, readers expressed interest in learning more. So today, one intervention to address ADHD behaviors will be discussed. Readers should not be surprised to hear that reinforcement is a recommended intervention. Reinforcement is a key topic in almost every single post on this blog. The important thing to remember is that reinforcement must be individually designed and administered in order to obtain maximum results. Individualization is not easy for teachers or parents. However, if appropriate reinforcers and correct schedules of reinforcement are utilized, great changes in behavior will be observed. Essentially, differential reinforcement is the use of reinforcement for one behavior and not for others. Differential reinforcement requires implementors to reinforce one behavior while withholding reinforcement for another. In this intervention, reinforcement is provided when an alternative behavior is observed but not when inappropriate behaviors are observed. Specifically, if a child is engaging in off task and distractable behaviors, alternative behaviors would be identified. It is important to know why (e.g., to get out of work, to get teacher attention, etc). An assessment must first be conducted to know why a behavior is occurring. To read more on assessment, check here, here, and here. Once the assessment has been completed, then alternative behaviors to obtain the same reinforcers are identified. If a child is trying to get out of work, an alternative behavior is to work faster so that play and non-work time may be accessed. If a child is trying to gain teacher attention, then the child is taught to use appropriate behaviors to get teacher attention. The next step is to reinforce the new/alternative behavior. If the child is working quickly, she needs to be reinforced with a nice long work break or play time. If the child appropriately recruits teacher attention, the teacher needs to come over quickly to give attention. As with any intervention, the goal is to get appropriate behavior then to thin or reduce reinforcement so that the child may function like the rest of children in the class or home. It is important to thin reinforcement at a pace that will prevent the ADHD-type behaviors from escalating. I hope this helps readers better understand one way that ABA may be used to address ADHD. way to keep current on all things autism. For those of you who want to be in the know but who lack endless hours in front of the computer, I will share a few of my tricks with you. One way to keep current, is to find your favorite webpages and set up RSS feeds so that you are alerted each time there is a change. I like to set up my RSS feeds right in my Outlook calendar so they appear like emails. You can also use Google to help you. I have several Google alerts set up including alerts for autism and applied behavior analysis. This is super easy! Visit this website and enter the term or terms that you are interested in. You will then receive alerts when those news items appear. Please note that you can set up weekly alerts and daily alerts and so forth. Several Twitter programs are available to assist you with information on Twitter. I tend to lean towards TweetDeck. I can set up columns on topics such as Step Parenting, Parenting, Autism, and behavior analysis. Within those columns I can read the twitter feed on that topic. You can also set up lists so that you organize your Tweeps by topic or content. I have a list on autism, GFCF, and behavior analysts. I have also written more in depth on Twitter and you can read about that here. So, don’t feel overwhelmed as you try to keep up with the latest on your favorite topic. Many resources are available at your fingertips! “My high functioning 7-year-old is in mainstream 1st grade with an aide. Her biggest problem is laughing and saying, “No!” as an attempt to avoid working. She is not disruptive enough to be sent to the resource room, yet she is non-compliant which is not appropriate for general education. 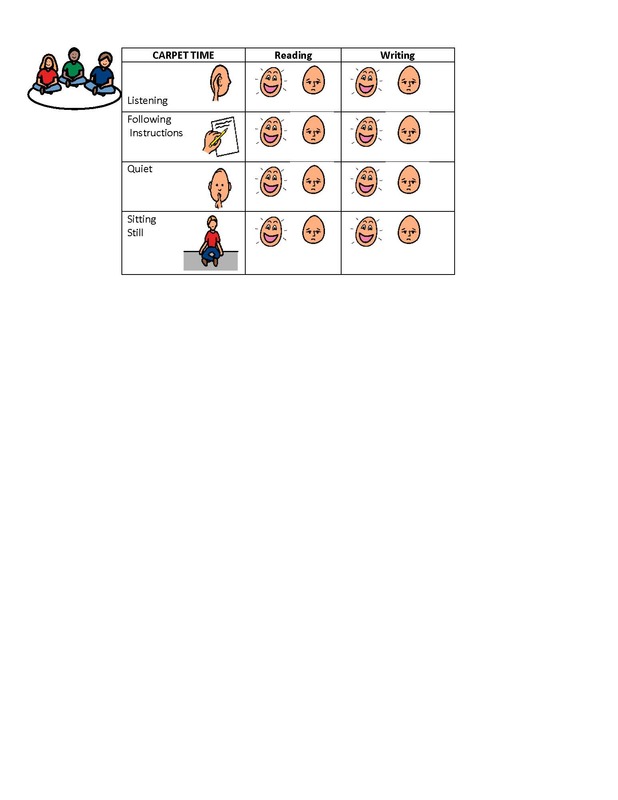 Our ABA team has tried token systems and they did not work.They tried PEC cards for “quiet time” and “stop talking” but those strategies did not work. At home, I simply say in a firm voice, “It’s time to work” and she does it. She may giggle and say repeatedly, “all done!” but the work is completed and it is usually correct! Hi Gwen! thanks for coming back to visit. We are sorry to hear that you are having troubles with your daughter’s behavior. Let’s talk about a few things. First, so many times teachers and other professionals fall in to the trap of treating a behavior based on its form (how it looks–or what behavior analysts call topography of the behavior). However, we should not attend to the form of the behavior as much as we should attend to its function (the result of the behavior). We cannot effectively address a behavior without first knowing it’s function (why is your daughter doing this?). We typically understand the function by taking careful ABC data. We could also do some manipulations if necessary to prove why she is doing the behavior. Based on what you’ve told me, it seems that she is getting an awful lot of attention for her behavior (e.g., “no talking” and “quiet time” contingent on the behavior). If that is the case, a simple intervention of attending to her for good behavior (i.e., attending and working) and ignoring the junk behavior (i.e., work refusal and laughing) should be effective. Both techniques should be used in combination to ensure effectiveness of the intervention. Seat work time. Your daughter laughs and says, “no”. When your daughter is quiet and working, the teacher or the aide should immediately turn to her and give her praise for working quietly. Keep me posted on how things go!! Hi! and welcome to What Works Wednesdays where we share a success story from our clinical files.Today’s success story is a follow up to a previous clinical case. Do you remember Little Cherub? She first came to us over a year ago. Little Cherub’s dad attended a presentation we did in Atlanta. He desperately wanted help because she had very restricted eating. After listening to dad talk about her symptoms, we suggested that Little Cherub be seen by a specialist to determine if she had celiac, an autoimmune condition that leaves the body unable to digest gluten, a type of protein found in bread, pasta, and cakes. Sure enough, Little Cherub had celiac. After putting her on a gluten-free (GF) diet, she further restricted her eating. After 5 of the toughest days imaginable, we finally helped Little Cherub learn that new foods are not scary and that, in fact, new foods can actually taste good. Little Cherub’s parents were amazed to see her chasing them down to get more cantaloupe! In addition to her eating behaviors, Little Cherub has a fear of many new things. Take toileting for example. Little Cherub wanted to continue using her pull up for toileting. Urinating on the toilet was not painful for her. But from the look on her face and the behaviors she exhibited, one would think she felt extreme pain on the toilet. In the same week we taught her to eat, we taught her to use the toilet for urinating and defecating. 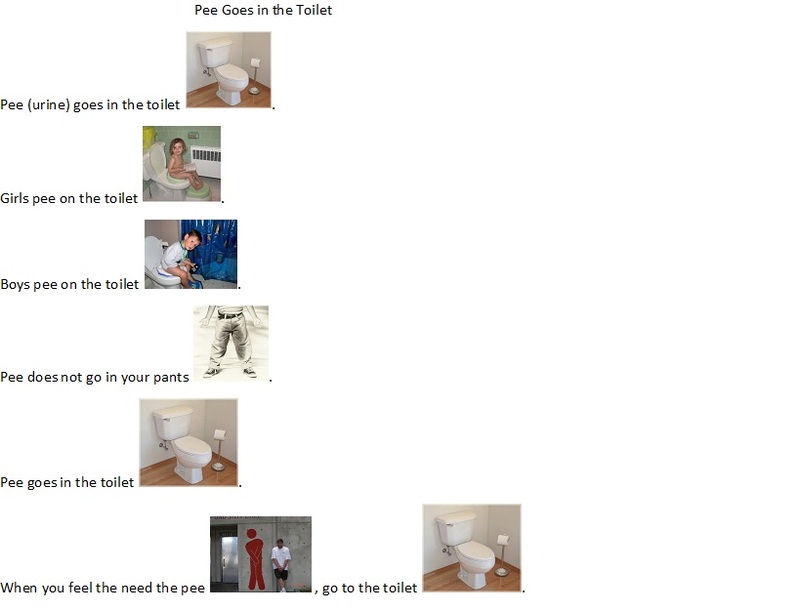 We made a simple visual schedule to show her that “pee” goes in the toilet. Within 2 days, Little Cherub overcame her fears of using the toilet. We reserved her very favorite jalapeno corn chips as a treat and she learned to associate positive things with the toilet. Less than 10 months after overcoming her fears of new foods and toilets, Little Cherub began showing fear-like behaviors in public places such as Target and grocery stores. Little Cherub’s dad reached out to us again for assistance. Public places can be very scary for children on the spectrum. Public places are loud, they have strange lighting, and things are not always predictable. However, once you teach children the routine, and associate the public place with something positive, children learn that public places are not scary after all. She went from cowering to smiling when we went twice a day for a week and explained to her what everything was she was seeing and hearing. Congrats again to Little Cherub and her parents for working so hard on overcoming these fears. The work parents do is never easy but with success stories like this, it makes all the work worthwhile! Little Cherub is doing great with her feeding. But the hurdle we are facing now is going out in public. Little Cherub literally acts and looks terrified. Our main goal right now is to commit to getting her through this just like we did with ABA, school, eating, and potty training. Do you have any suggestions? Hi Little Cherub’s dad! It is great to hear from you again. However, I’m sorry that she is giving you this trouble. Just remember, it is another behavior that she is using to “control” her environment. Think about what we did for food. We did not let her escape the bites, no matter how much she fussed. You will have to do the same thing for this new behavior. I like to add a few strategies before and after the behavior. Before you head out to a public place tell her where you are going. Be sure to use a picture to help her understand. 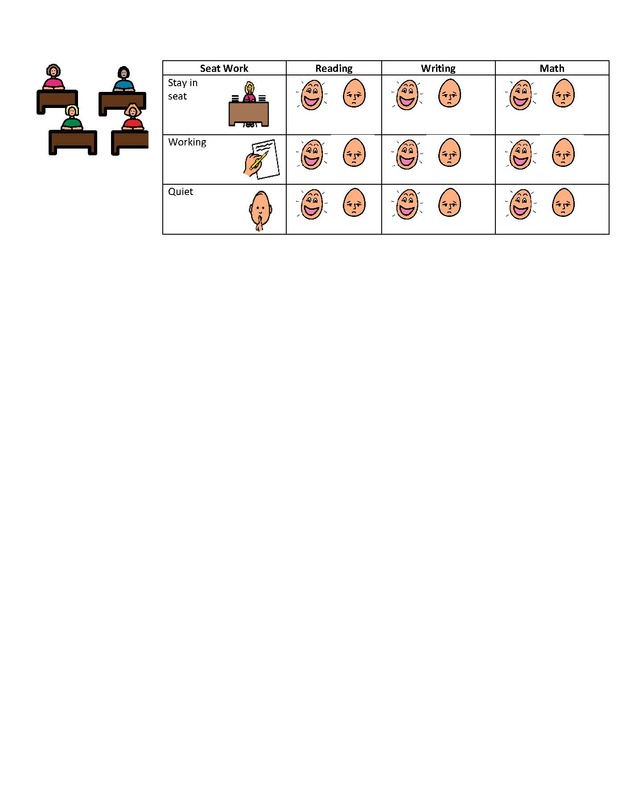 We have written about the importance of visual schedules before. Tell her that she is going in and that she needs to behave. Tell her she will get X treat when you guys finish your task there and leave the store. Be sure to show her a picture of the item as well. When you are in the public place, do not give attention to any junk behaviors that she uses. If she drops to the floor, pick her up and put her in the basket. If she screams or cries, simply look away. If she swats at you, move to the side without looking or responding. You will have to work through these behaviors just like you did for her behaviors around food. As soon as you have finished your shopping (or whatever you were supposed to do), immediately tell her good job and immediately give her the treat you promised her. My recommendation is to initially go when it is less crowded so you get fewer stares from people. Using pictures will really help her understand where you are going and what she gets when it is over. If you have a behavioral question for me email me directly at askmissy at applied behavioral strategies dot com. Thanks! Thank you so much for contacting me. Any time a child’s behavior changes suddenly, the adults should stop and ask “what has changed in his life”? is he in a new classroom? has his home environment changed? has his feeding routine changed? has a new therapy program been added/changed? Any Medical Conditions or Medical Changes? The other question to ask is about his medical condition. Medical conditions can impact behavior. is he tugging at his ear or are there signs of a sinus or infection? Additionally, the child may engage in tantrums for any of the reasons combined (e.g., avoid work and then obtain favorite toy while on break). Following a good assessment, then the team will need to develop a solid behavior intervention plan. Staff and parents will learn what to do after behaviors if they happen. Staff and parents will learn how to reinforce the new replacement behaviors to that they continue to occur. Please keep me posted on the outcome! Thanks again for writing. Readers, if you have a behavioral question, email me at askmissy at applied behavioral strategies dot com. I would appreciate any advice you can provide us in trying to help this child. As you might be aware services and facilities for children with autism are limited so any information you give us will be very useful.